Walk up Table Mountain and enjoy the wonderful views from up there, it's a must! If you are lazy, tired or short of time, take the Cable Car. 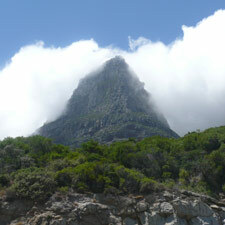 Alternatively climb up Lions Head, views are magnificent and atmosphere is a bit more private. During full moon you can take a wine & some snacks and get up for sunset. The Moonlight will guide you down. Take the ferry to Robben Island and take a guided tour by a former prisoner. 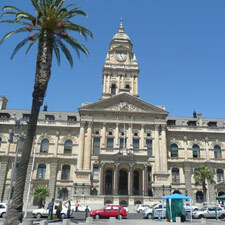 Visit the cell of Nelson Mandela and learn about the history of the political dissidents. 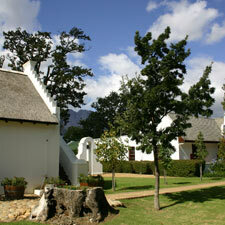 Explore the oldest building in Cape Town, the Castle of Good Hope. Take a closer look at Cape Town's history at the District Six Museum, the Company Gardens and the South African National Museum. If you want to see something different - go on a guided Township Tour and learn about the history, culture and life of the township people. 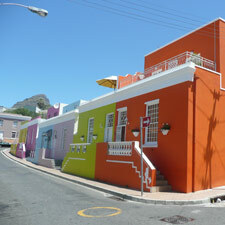 Explore the colourful Bo-Kaap, smell the Malayan spices and feel the culture and lifestyle. Need a kick? Go skydiving! 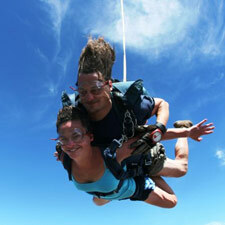 Best views and adrenalin are guaranteed. This memory will last for a while. Kloofing in Gordon's Bay. Sand boarding on the dunes near Atlantis. 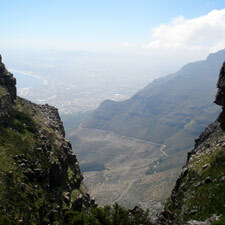 Try Abseiling off the top of Table Mountain to ledge more than 100m below. And much more like scuba diving, surfing, windsurfing, climbing. See penguins in Boulders Beach, baboons, whales, dolphins, zebras and ostriches roaming the Cape Peninsula National Park and visit the Cape of Good Hope, where you have a stunning view over the False Bay. Visit the internationally renowned Kirstenbosch Botanical Garden, where you find most of the African plant species in a scenic surrounding. Explore the wine regions or visit the top restaurants of Stellenbosch and Franschhoek and take a tour through the beautiful wine valleys. You just want to slow down and rest a while? Relax with an ice-cold drink at one of Cape Town's famous beaches. Braai! 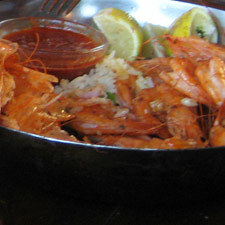 Of course, the South African version of BBQ. Try a ostrich steak or orange glazed Snoek, just get the fire started!